Over the past few weeks I’ve worked with, and performed for, hundreds of kids in Chicago. They’ve ranged in age from six to 18 years old, and from no musical background to intensive musical training. Every time I work with kids I am blown away by their creativity, willingness to try new things, and, to be completely honest, their interest in learning about music. With most schools embracing STEM (Science, Technology, Engineering and Math) education there seems to be less and less time for arts in school. Many teachers are advocating for STEM to include the arts, as STEAM (Science, Technology, Engineering, Art, and Math). While I am all for the arts being thought of as a necessary part of education, there are a few misconceptions about the purpose of the arts in education. What does the ‘A’ actually stand for? According to stemtosteam.org, the objectives of the STEAM movement are to encourage integration of art + design in K-20 education, transform research policy to place Art+Design at the center of STEM, and influence employers to hire artists and designers to drive innovation. At steamedu.com, the ‘A’ stands for the broad spectrum of the arts going well beyond aesthetics, including liberal arts, social studies, fine arts and music. There seems to be a lot of contradictions in the definition of the ‘A’ in STEAM. Part of this is because of the broad spectrum of what falls under the Art category, and the purpose of integrating Art into STEM. The Art’s purpose is to add creativity to STEM. Yes, students involved in music, art, theater, etc., are encouraged to be creative. But aren’t students in math and engineering encouraged to be creative as well? I don’t think that STEM is lacking in creativity or artistry in its own way. STEM lessons naturally involve language arts, social studies, and history, but have little in common with the fine arts, such as music. I recently played with Civic accompanying the finalists of the Chicago Symphony Orchestra’s Young Artists Competition. 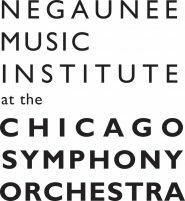 Four piano soloists, ranging in age from 14-16, played some of the most difficult piano concertos that are out there for a chance to be a featured soloist with the CSO next season. Eriko Darcy, after performing a stunning first movement from Prokofiev’s Piano Concerto No. 3, was asked in a post-concert interview about involvement in her school’s ‘Girl’s Who Code’ club. The interviewer asked, “Do you think playing the piano helps you in your engineering classes?” After a pause, Eriko said “Uh, not really. They’re two different things” This is a 16 year old girl who is passionate about the piano and engineering, at a very high level in each discipline, who doesn’t see her work on the piano affecting her work in engineering. As part of our CSO Connect project, the Civic Fellows bring a musical performance to multiple schools, introducing classical music to students before they visit Symphony Center and hear the CSO perform the same repertoire. In designing this project, we were asked to connect our musical performance to other subjects the students are studying in school, particularly the Kankakee River, which they learned about at the Chicago Field Museum. The Civic Fellows premiere their arrangment of Smetana’s “The Moldau” along the Chicago River. As a group, we really struggled with ways to connect science and music in a natural, authentic way. We ended up solving this problem by focusing on music; having students help compose a song about a river before playing an actual piece written about a river, “The Moldau” from Smetana’s Ma Vlast. By doing this we talked about a river’s journey, what it sounds like, where a river starts and ends, and how this all fits together in music. Did we teach students about the ecosystem of the Kankakee River? No, but we made students think about a river in a different way. So does the ‘A’ belong in STEAM? Maybe not. 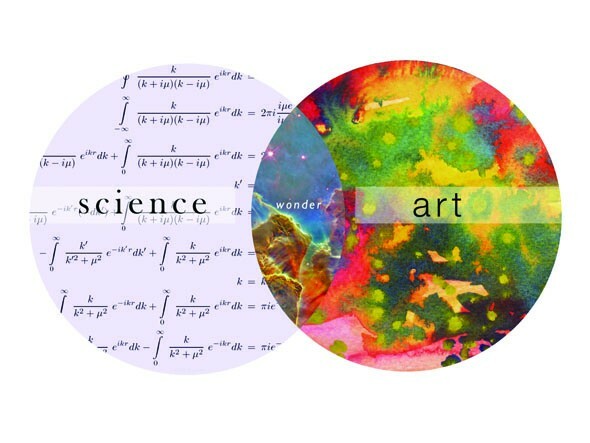 Yes, art and science often overlap, but forcing the two disciplines together might not actually benefit either subject. As a music educator, it’s difficult for me to be against adding arts into a mainstream form of education, especially as Arts budgets in school are slashed every year. It can be disheartening to be passionate about a subject that must be fought for and justified every day, while watching STEM education encouraged by top educators. However, every time I meet new kids and introduce them to the world of music, I am reminded how much what I am doing matters. I don’t need to justify music by integrating it with Math and Science. Music and other Art disciplines are a vital part of creating empathy, which is equally important, if not more important than STEM subjects. While they may not belong together, STEM and the Arts must be taught as two separate but equal pillars to create a balanced, well rounded education. TOP IMAGE: “Stem vs. Steam: Do the Arts Belong?” The Imaginary Foundation, November 2015.